I’ve recently returned from the 2013 San Diego Comic-Con–a swarming, heaving mass of geeky humanity. During the convention, I got to spend time with a lot of pals including Angela and Aubrey Webber a.k.a The Doubleclicks. They are, of course, charming and talented and smart and good at all of the instruments ever. 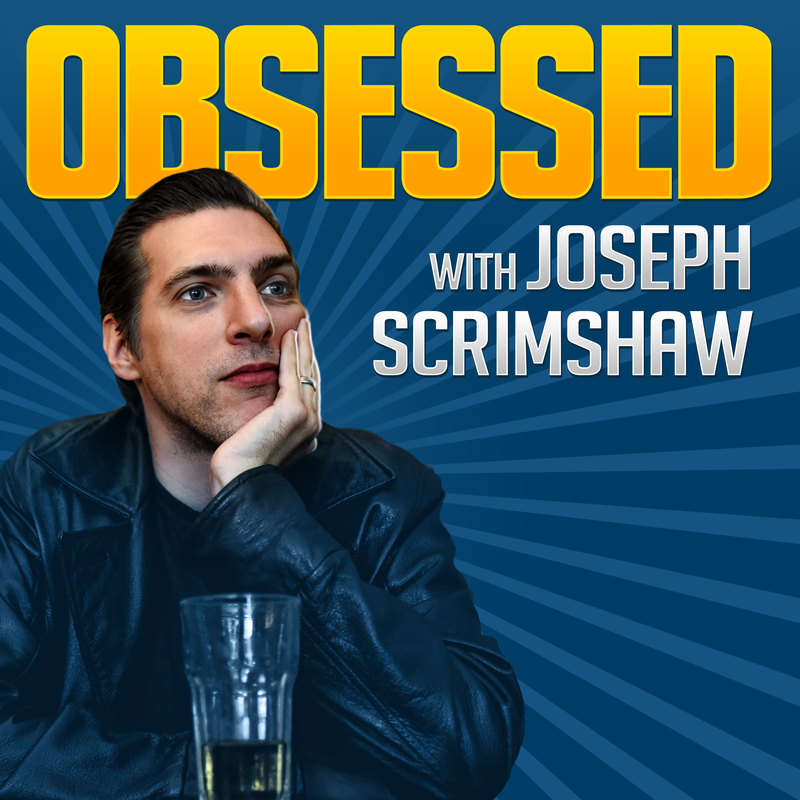 I’ve been lucky to tour with them a bit, they’re writing a song for my upcoming comedy and music album Flaw Fest, they appear on one of my favorite episodes of Obsessed, and they’re good friends. The video was co-conceived by another pal–the talented screenwriter and raconteur Josh Cagan. 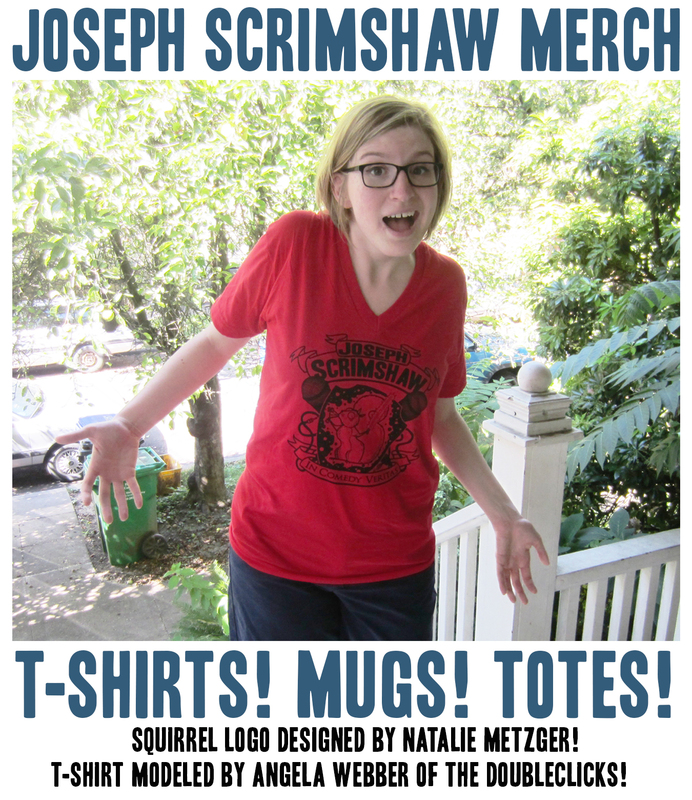 It features testimonials from geek girls and a few geek guys (some assholes named Wheaton, Savage, Scrimshaw, etc.) about the strange trend in some pockets of geek culture toward exclusion. I thought a lot about geek culture during Comic-Con this year. One of the most obvious expressions of geekdom is cosplay. Dressing up as a character you like, or in many cases, just a character you find aesthetically pleasing. I love watching cosplay. For the joy of those in costume and those who are thrilled when they see their favorite character walk by. But I’m also fascinated with the mash-up between the fantasy of the character and the reality of being a human at a convention. I posted on Twitter and Facebook that all I wanted out of the convention was seeing one guy dressed as Batman eating a taco. I even followed a couple of Batmen, but they walked right past the taco stands. I saw a guy in a really great Green Lantern costume standing against the wall on the crowded convention floor, charging his iPhone. It was sad and funny to see Green Lantern having to use a common power outlet to charge his phone instead of using his ring. I saw several men dressed as Slave Leia. Another friend saw all of the Avengers. But the Avengers were also dressed as Slave Leia. Comic-Con runs shuttles from all the hotels to the convention center. The shuttle is a great place to watch superheroes confront the limits of the physical world. A guy in a great Iron Man costume got on the bus, lifted his helmet, and said, “Oh, man. I forgot I can’t sit down.” It was a double-decker bus so someone said, “Why don’t you go upstairs? There’s more room up there.” Iron Man’s friend said, “Bad idea. He doesn’t do stairs well.” So Iron Man just sort of squatted in the area normally reserved for wheelchairs while happily telling people how he made his awesome costume. I was unable to stop myself from leaning over to my wife and whispering, “Bane IS a DC character.” My wife hadn’t been listening to the Riddler’s conversation so she thought I was having a sudden attack of aphasia. The Riddler was what all these judgmental dudes are so afraid of from women. That people will just appropriate geek knowledge and credentials. That they’ll wear the mask of the Riddler on their face but not in their hearts. And this will somehow rip a hole in the very fabric of the geek continuum. I continued to listen to the Riddler. The topic changed from costumes to something very close to Riddler’s heart: tax laws as they relate to the legalization of marijuana. The Riddler had a lot to say on this topic. Turns out, he was a huge geek. What he lacked in knowledge or passion in Batman’s rogue’s gallery, he more than made up for in pedantic pot tax lore. He was absolutely not a fake geek. He was just a guy having fun wearing a costume with friends. Next year, I hope he fully embraces his inner geekdom and dresses up as Captain Pot Tax Laws. It’s been said many times (and particularly effectively in The Doubleclick’s song and video) but one of the strengths of the geek community at this point is its spirit of inclusion. There is too much “geek content” for geekdom to be based solely on your knowledge. No one recognizes every costume at an event as large as Comic-Con. What we recognize is the passion. And what makes the event positive is the moments of feeling like a part of a community no matter how odd or obscure your passion is. 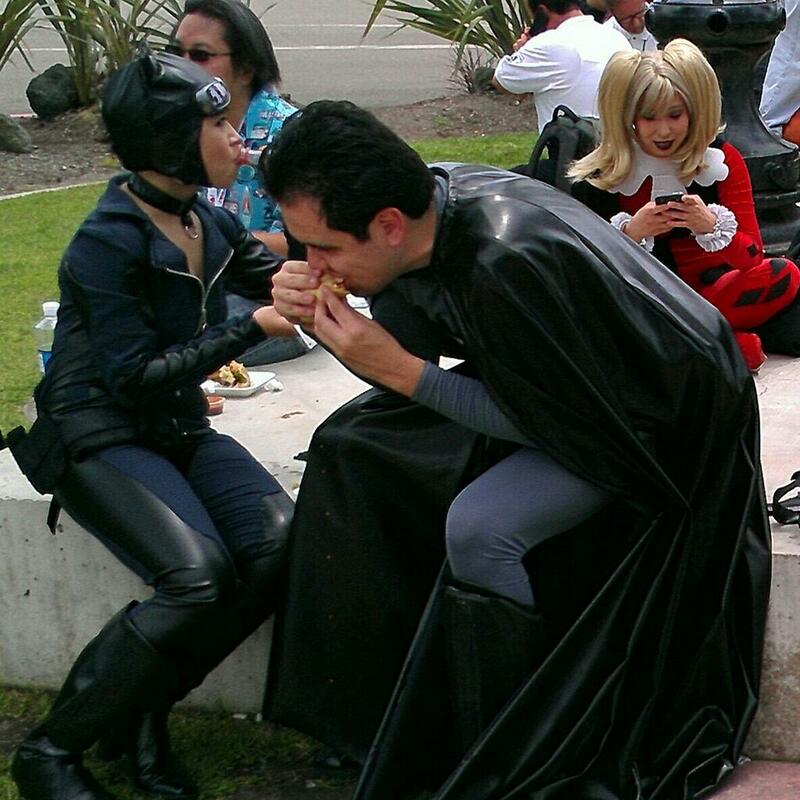 My passion at Comic-Con this year was to see someone dressed as Batman eat a taco. And a community rose up to support me. On Saturday afternoon many people tweeted at me, saying they had spotted a Batman in the vicinity of a taco stand. @SemiEvolved on Twitter then sent me this photo. And it was good. Thanks, @SemiEvolved! This particular Batman was found at my pal Marian Call’s ninja gig behind the Convention Center. So he has good taste in tacos and music. But since I’m a geek and I want to collect them all, I will be on the hunt for a sighting of Batman eating a taco with his cowl up. That’s all you need to be a geek: follow your passion. Follow them down a street and take pictures of them eating tacos. Next year, Comic-Con, next year. 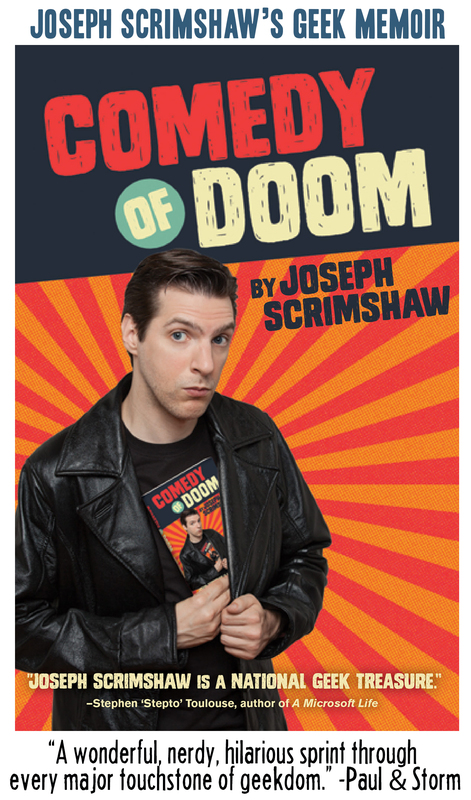 If you enjoy my work, you can sign up for my fan list here and make more comedy possible by buying a book, a comedy album, or a script here. I was witness to the Batman Taco incident! I was serenading him at this very moment during a ninja gig! He attempted to eat his taco with his cowl on, but it was too stiff for him to open his mouth very wide. I think Batman doesn’t eat shwarma in the movies for a reason. I dunno why they call it a strange trend. It’s always been that way. There are cool geeks and uncool geeks. Of course, all of these guys are in the cool geek club, so they don’t see a problem. Even before geeks were cool, there were cool geeks. Really, only the cool geeks are cool, the uncool geeks are still excluded, just now they are doubly excluded — both from normals and also from geeks. And even without cool geeks, there were real nerds and fake nerds. Fake nerds weren’t nerdy (read: smart) enough to be real nerds. I mean, don’t act surprised, Wil, in the 90s people made a Usenet group about how much they hated you. USENET. Not exactly the normals’ milieu. I’ll speak for myself (but I expect The Doubleclicks and Wil and most people involved in the video would agree) no one has any interest in labeling people cool or uncool. You’re the one doing that. You read a post that pretty clearly supports the concept of inclusion and tried to reintroduce the concept of exclusion. The point is that one of the defining traits of geekdom is that it strives to be inclusive. My favorite thing to see at a con is Darth Vader on an escalator. Never fails to make me happy. Good luck with the Batman-taco hunt!